VATICAN’S NEW STEP TOWARD ORDAINING WOMEN – The Congregation for Divine Worship authorized a religious woman to celebrate a marriage. 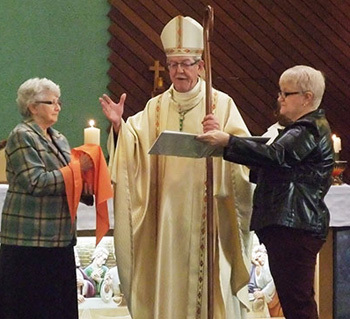 Indeed, on July 20, 2017, Sister Pierrette Thiffault from the village Lorainville in the region of Québec, Canada, replaced the priest and united Cindy and David in marriage in that parish church. Sr. Thiffault belongs to the Order of the Sisters of Providence and has exercised the role of Catechism teacher for a long time. David, the groom of the marriage service she recently performed, had been one of her students since he was five years old. Later, due to the lack of priests, she received from the local religious authorities the role to fulfill some of the priest’s duties in the parish of Moffet. According to the press, Bishop Dorylas Moreau of Rouyn-Noranda called Sr. Thiffault and asked her to celebrate that marriage. At first she refused, arguing she had no orders and that she could not do so without special permission from the Holy See. After due request by the Bishop, the authorization came in a letter dated May 23, 2017, from the Congregation for Divine Worship and the Discipline of the Sacraments, whose prefect is Card. Robert Sarah, normally presented by the media as a lion of conservatism. Analyzing this canon, commentators can securely affirm that, once the Bishops’ Conference issues permission and the Bishop requests and receives approval of the Holy See, he can choose any lay person he deems appropriate, man or woman, in order to witness the marriage in the name of the Church. 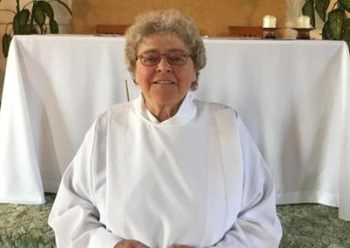 So, besides what the media reported about what Sr. Thiffault did, she could also have delivered a sermon to the wedding couple as she witnessed their marriage. Let me remind my reader that the Code of Canon Law of 1917 only allowed Bishops and priests to celebrate marriages (cf. can 1094-1096). It was the Code of Canon Law of 1983 that opened the door for the exception we see being put into practice today in Canada. Therefore, I advise those who blame Bishop Moreau of Rouyn-Noranda or Card. Sarah of the Congregation of the Divine Worship for what took place in Canada to dig a bit deeper in their analysis. The exception of having a woman celebrating a marriage was present in the actual text of canon 1112 of the New Code, which was initiated by Paul VI and sanctioned and promulgated by John Paul II in 1983. What raised the indignation of many who read about Sr. Thiffault officiating at a marriage were the new principles that oriented the New Code of Canon Law, which are none other than the progressivist principles that inspired Vatican II. The case of Sr. Thiffault is, nonetheless, very important because it is a first precedent, officially permitted by the Holy See, allowing a woman to replace the priest in his ministerial role of effecting the Sacrament of marriage. 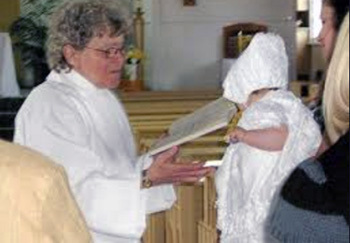 Besides being able to administer Baptism, being a Eucharist minister and delivering a sermon, now a woman is also authorized to witness the Sacrament of marriage. This case of Sr. Thiffault seems to have been sanctioned to take another step toward the ordination of women as deacons, a question that was re-opened more than one year ago when Francis established a commission to study this possibility. She was right. It is a gigantic step toward introducing women deacons and, then, women priests.